UPDATED: Wed., Feb. 14, 2018, 6:11 p.m.
PULLMAN – The Washington State Cougars believe they still have some good basketball in them, but now that most – if not all – of their tangible preseason goals are wiped out, finding new sources of motivation could pivotal for Ernie Kent’s club as it begins the final third of its Pac-12 slate. Winning over its home crowd again could be one of those and the Cougars still have four dates in Beasley Coliseum before the Pac-12 Tournament begins in March. WSU (9-15, 1-11) plays host to Colorado (15-10, 7-6) at 8 p.m. Thursday (Pac-12 Networks) and welcomes Utah (15-9, 7-6) at 7 p.m. on Saturday. Any plans the Cougars had of earning an at-large bid to the NCAA Tournament – for about a month to start this season, those hopes were legitimate ones – were all but eviscerated by the time they beat Cal in Pullman for their first conference win. Seven consecutive losses later, WSU is guaranteed a losing Pac-12 record and the Cougars would only break even overall if they somehow managed to scrape up wins in their last six games. All 12 teams are invited to the Pac-12 Tournament and none of them travels to Las Vegas with plans to lose, so even the long-shot Cougars can take some solace in knowing there is still something material to play for. Kent also believes the young Cougars could use the back end of this season as a springboard for the 2018-19 campaign. WSU returns four of its usual starters and every player with the exception of grad transfer Drick Bernstine. “We don’t want to give up this season, but I also know how good they’re going to be with another year of experience under their belt,” Kent said. Thursday’s encounter with the Buffaloes is the fifth in two seasons for WSU. The Cougars are 1-3 in their last three games against Colorado, having lost 82-73 to the Buffs in Boulder earlier this season. 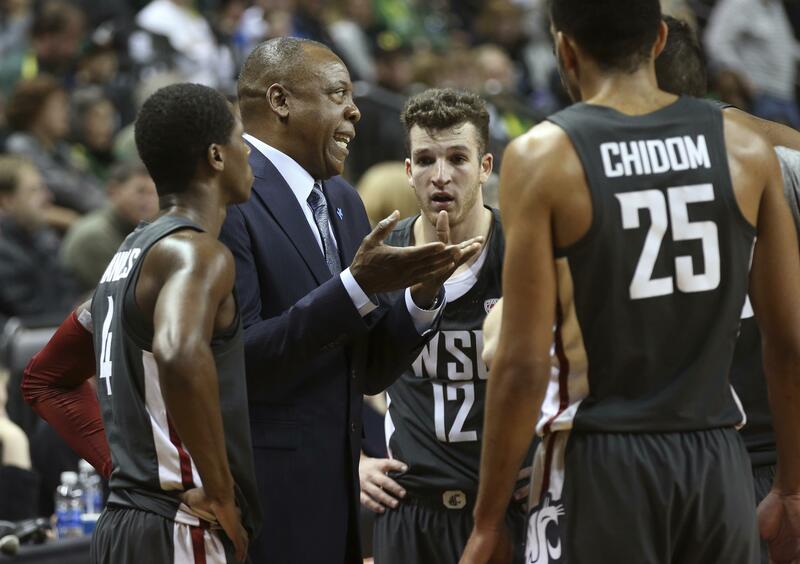 But Thursday could represent WSU’s best opportunity to win in front of a home crowd. Colorado is on a three-game win streak, but the Buffaloes have won just one of eight contests away from home this year. They’ve defended well of late, conceding just 175 points in three wins over Utah and the Bay Area schools. Freshman guard McKinley Wright has been a bright spot for the Buffs, averaging 14.5 points per game, 5.4 assists and 4.4 assists. A knee injury that precluded Robert Franks from playing Sunday against Oregon won’t force WSU’s leading scorer to miss any extra time. Franks said he “felt great” during Tuesday’s practice in Pullman and the Cougars’ 18 points-per-game scorer should be back in the fold when WSU hosts Colorado. In an 84-57 loss to Oregon, the Cougars were held to their lowest point total of the season. Franks, while frustrated he couldn’t lend his scoring, tried to see the positives of watching from the bench. Published: Feb. 14, 2018, 4:30 p.m. Updated: Feb. 14, 2018, 6:11 p.m.